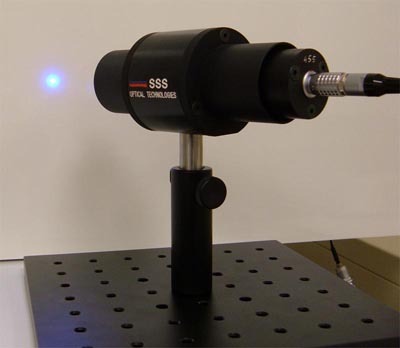 LED light source SSSOT-003X emits in 30-nm band around 505-nm peak (Cyane). 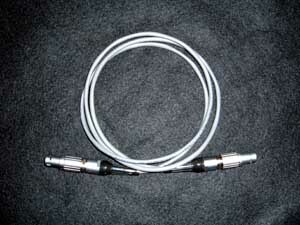 It produces a focused spot of 3.45-mm size at a distance of 83 mm from the front edge of the tube. Maximum power of 8.0 mW corresponds to an intensity of 67 mW/sq.cm in the spot. 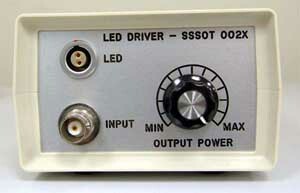 The source can be driven by controller SSSOT-001X-CON or driver SSSOT-002X-DRV.